Shack Shine Durham Region offers experience technicians an important service to protect your biggest asset. Having crystal clear windows makes life a little brighter. We wash exterior windows by hand using an applicator and squeegee to ensure the perfect shine. For hard-to-reach windows, we use a carbon fiber, water-fed pole and specialized squeegee along with filtered water to ensure excellent results. A pesky area that often doesn’t get enough attention when it comes to cleaning is the eavestroughs around your home. These are the gutter edges that are fixed under the edge of the roof line. They can collect mold, debris, and all types of damaging grime. And, when they back up, it can lead to problems with your home’s entire gutter system including the foundation. 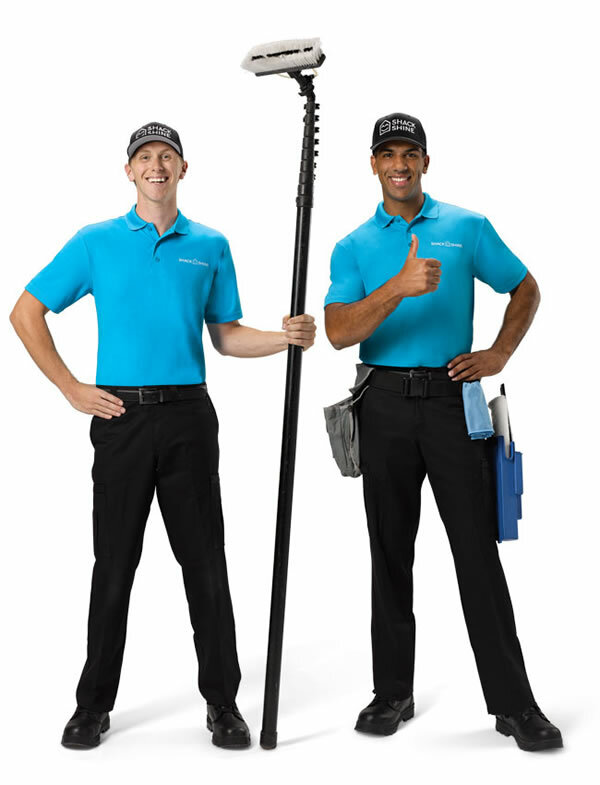 Our goal at Shack Shine is to provide comprehensive eavestrough cleaning. By removing the debris present, flushing them out, and rinsing them properly, water can flow easily through the gutter system when a downpour occurs. Properly flowing gutters ensures your home remains protected, but leaves, dirt, and debris quickly clogs them up. 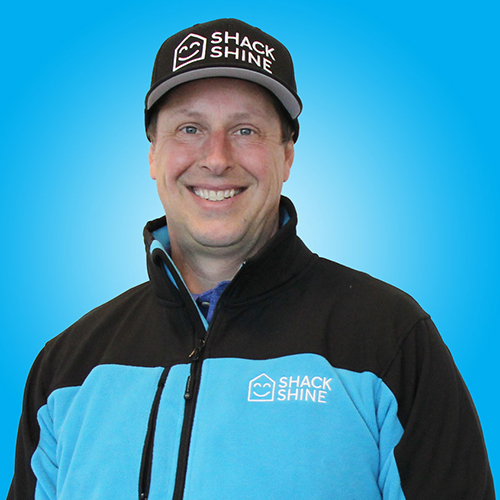 An important tool for proper home maintenance, Shack Shine’s power washing services can clean any horizontal surface around the exterior of the home. It helps to minimize the risk of deterioration of surfaces by removing debris and grime from them. It can minimize the risks of falls as well. Power washing is also a fantastic way to keep the home looking like new and impressively clean. It’s an important part of house washing and upkeep. Pressure washing can help to refresh your home’s exterior surfaces quickly. We can pressure wash many surfaces including concrete, the house itself, and the roof. This method is safe to use on most surfaces and highly effective at pulling off stains and debris. Our house washing service uses specialized tools such as a water-fed pole along with low-pressure rinsing. Any scrubbing necessary is done by hand to minimize any risk of damage to the exterior of the home. We’re happy to move furniture to help ensure a comprehensive clean takes place every time. Not only does it help to remove caked-on dirt, debris, mold, and mildew, but our professional exterior house cleaning service can also help remove stains. It’s the best way to protect the exterior of the home while also ensuring exceptional value of it. House washing is ideal for those who have siding on their home, though other surfaces can benefit from this deep-down cleaning service as well. Maintaining your home’s roof is essential. It’s more than just looking for missing shingles, though. Roof cleaning helps to remove the mold and mildew that frequently builds on roofs, causing them to age quickly and deteriorate fast. By removing this material in a safe manner, we can help protect the roofing shingles or other material from early deterioration. Over time, this material can stain the roof and lead to costly repair needs. The methods we use for roof cleaning are safe. They will not damage the shingles or other roofing material, but they will effectively remove debris and grime. They also can rid your roof of various stains, which make it look older than it is. Roof cleaning can help protect your roof while also boosting its cosmetic appearance.